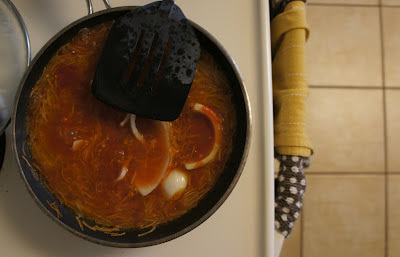 Everyone has one...long day at work, kids are hungry, and one thing I know my family will eat and LOVE is fideo! Fideo reminds me of my grandma's house. It is one of those recipes that you wish you made as good as your mom, but it's also a dish that you can make your own! It is great by itself, as a side and garnished with whatever your corazon desires! 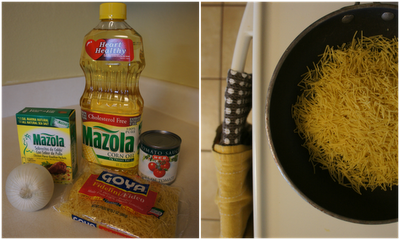 One way I recently improved my dish was by adding a packet of Mazola Sobrecitos. This little packet provides all the flavor from bouillon and dissolves completely and instantly! It saves me the time of measuring other spices and with one packet, I know I am putting the right amount of flavor! So my fideo starts out like this...Mazola Corn Oil in the pan with one package of fideo. Let the fideo brown a bit. I like to cut up some onion, and I open up a small can of tomato sauce. Once a light brown, I add about 2 cups of water, about 3/4 of the tomato sauce can. 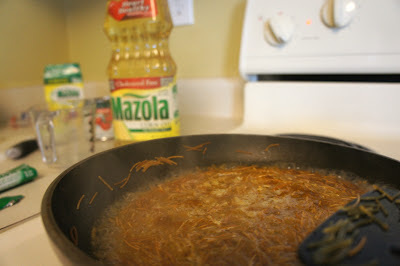 Add one packet of Mazola Sobrecitos bouillon packets - chicken flavor. There is also a tomato flavor that you can try as well! Once the sopa gets to boiling, I cover, lower the heat and let simmer! And Ojalá! Dinner is served! 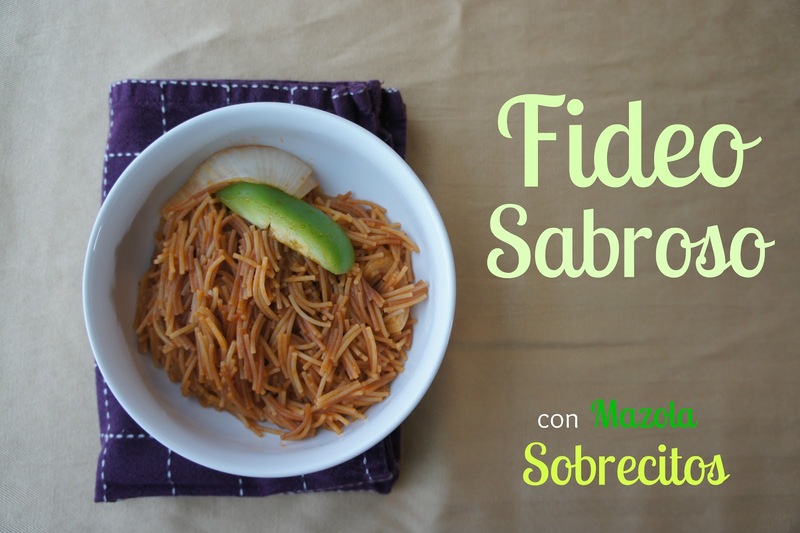 This dish is a family favorite, but if you haven't made fideo before, Mazola has two great recipes - Sopa de Fideos and Fideo Rojo Sabroso on their website, that can be found in Español and English. Want to try Mazola Sobrecitos for yourself? How about a $25 Walmart Gift Card too? Looks like we've got a giveaway! Take a look at the Mazola Espanol Facebook page and comment on our post with your favorite recipe! Pictures provided, so if you are an English only reader, take a look and let me know which is your favorite recipe in the comment section below! Comments will be closed on Tuesday, July 24 at 11:59 pm. US entries only. 18 and up only. This is part of a sponsored campaign with Latina Mom Bloggers and Mazola® Sobrecitos®. However, all opinions expressed are my own. I'd like to try Caldo de Camarones. Thanks so much for your comment! I love anything with shrimp! I LOVE LOVE LOVE fideo... My girls can live on it and these sobrecitos make it so much easeier and quick (even dad can make it now) :-) From the facebook page I like (and want to try) los tacos de carnitas... just without the onion.